Businessman Jean-Marc (Perez), along with his partner Bertrand (Kircher), has clinched an important deal with a Russian company, but at the expense of a small, family-run business he’s dealt with for years. Incensed by his attitude, and the fact that her father’s company won’t survive without Jean-Marc’s patronage, Marie (Giocante) heads to Paris to confront him. However, Jean-Marc is heading out of Paris for his daughter’s wedding; her name is also Marie (Coulloud), and she is sure her father won’t make it, so focused is he on his work. A general strike doesn’t help matters, and with one mishap after another – including having to abandon his car and use an electric car instead – Jean-Marc and Marie end up travelling together, he to the wedding, she back to her home town and her parents’ farmhouse. 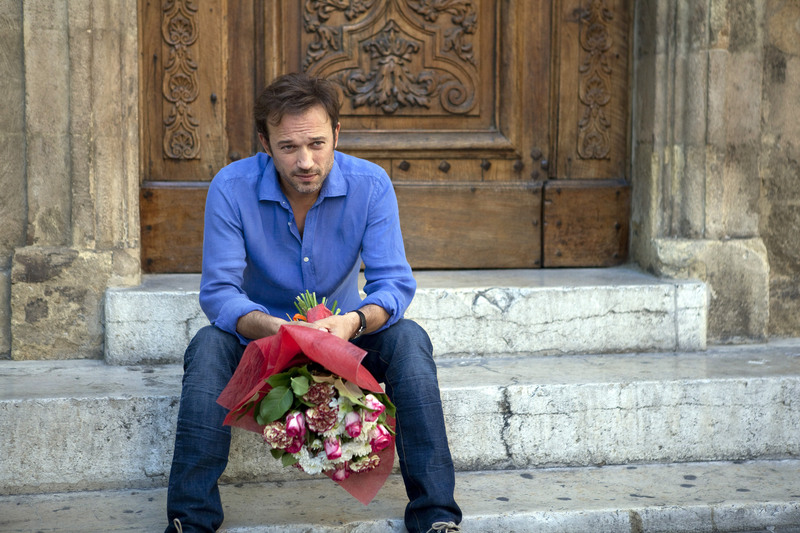 When they arrive at Marie’s parents’, Jean-Marc discovers who Marie is but keeps quiet about his own identity, having begun to realise he is in love with her. With the wedding getting ever closer, and still more hold-ups to come, can Jean-Marc get there on time, and can he find a way to keep his budding romance with Marie from failing when she, inevitably, finds out who he is. With a script by Luc Besson, this is a charming romantic comedy with a modicum of dramatic moments dotted here and there. Besson packs a lot in to the short running time, and the story is ably realised by Lellouche, showing off the French countryside to beautiful effect, and his two leads in the same manner. Perez is wonderful, arrogant and egotistical at the beginning but gradually coming to terms with what he’s missed by being so fixated on his work. Giocante matches Perez in the performance stakes, and makes her aggrieved daughter a more fully-rounded character than at first might be expected. The dialogue, while not really that original or sparkling, is still affecting in places and Besson is clever enough to avoid the potential pitfalls from such a clichéd scenario. The supporting cast provide much of the laughs, but it’s a gentle humour that runs throughout the movie, and it never overwhelms the romantic storyline. 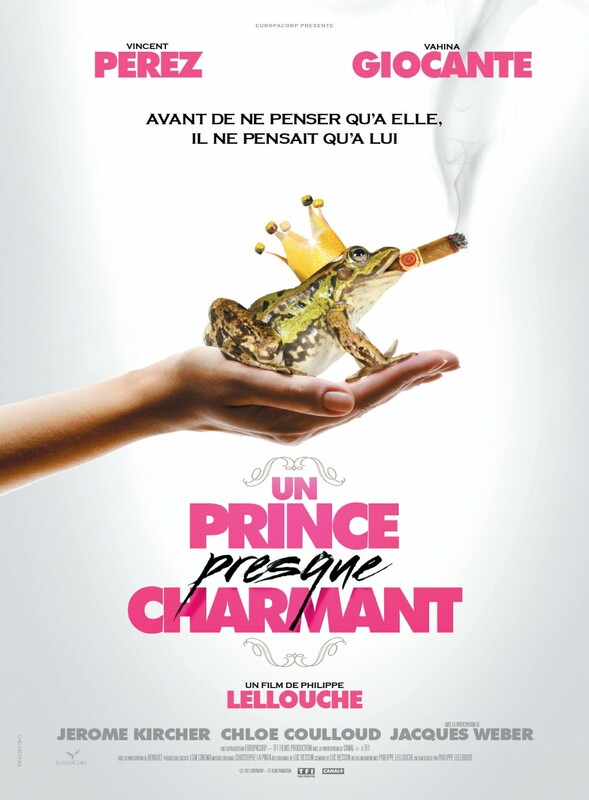 To be fair, this is the kind of movie the French can do in their sleep, and if it’s not the most original of storylines or plots, it doesn’t really matter. The familiar set up, the predictable outcome, the warmth even estranged characters have for each other – Jean-Marc and his ex-wife Liliane (Veillon) – all these things act to reassure the viewer that there won’t be any nasty surprises, and the course of true love, while never quite running smooth, will have a satisfactory ending, whatever the obstacles in its way. Rating: 6/10 – a minor but enjoyable effort, heart-warming and inoffensive at the same time; perfect for a romantic evening in with your partner of choice.